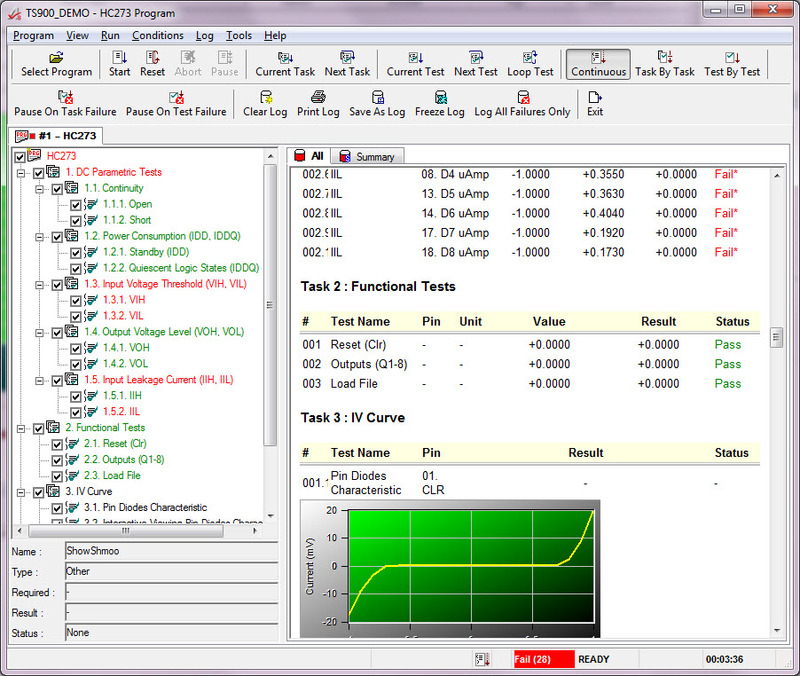 PXIe Semiconductor Test System - TS 960e | Marvin Test Solutions, Inc. 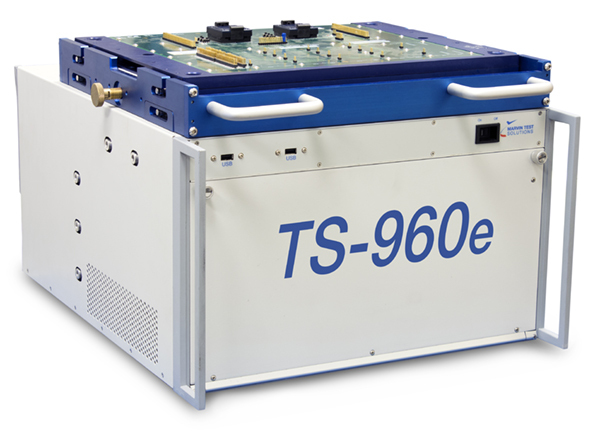 The TS-960e PXI Express Semiconductor Test System is an integrated test platform that offers comparable system features and capabilities found in proprietary ATE systems. Available as a bench top system or with an integrated manipulator, the TS-960e takes full advantage of the PXI architecture to achieve a cost-effective and full-featured test solution for device, SoC and SiP test applications. The test system incorporates a high power (60 watts per slot), 21-slot, PXIe chassis and a custom-designed, performance test interface that supports the use of PCB DUT (Device Under Test) boards - a proven and high-performance method for interfacing to the device under test. Additionally, the receiver interface’s pin blocks are field configurable, allowing users to upgrade the receiver when they modify or upgrade the system for new applications. The configuration of the receiver can support up to 512 digital channels, as well as a range of analog, device power supply (DPS) and RF resources. 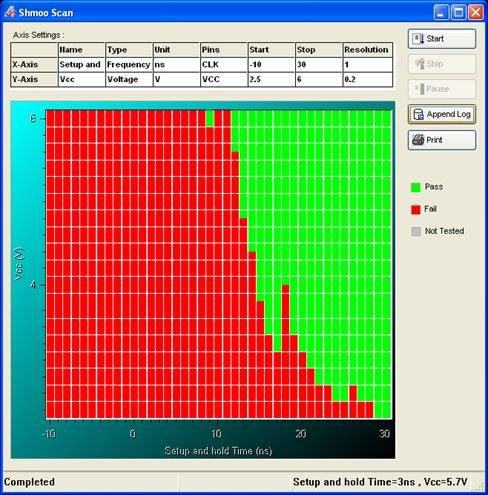 The basic system includes 64, digital I/O channels; 64 static digital I/O channels; a programmable DPS; a system self-test and fixture; software for digital waveform editing / display; ICEasy - device test development tools; and Marvin Test Solutions' ATEasy software which provides an integrated and complete test executive and test development environment, allowing users to quickly develop and easily maintain test applications. With an additional 15 PXI slots available for digital, analog and RF test resources, the TS-960e is the ideal test solution for semiconductor OEMs, fabless semiconductor vendors, incoming inspection / counterfeit detection labs and packaging / test vendors needing a cost-effective, open architecture, configurable test system. For production test applications requiring integration with an automated handler, the TS-960e is available with the Reid - Ashman OM1069 manipulator which provides precise positioning of the test head and the flexibility to interface to automated probers and device handlers. The manipulator’s spring loaded design allows for easy alignment and docking to handlers - eliminating the need for a complex receiver interface. The TS-960e features a handler compatible slide receiver, which offers the flexibility to interface to virtually any device handler. In addition, fixture compatibility is maintained with both the TS-900 and TS-960 test systems, allowing users to interchange load boards between system types. The base TS-960e platform uses the advanced GX5296 - a 3U PXI, 32 channel 125 MHz digital I/O card featuring timing and PMU per pin capability with sub-nanosecond edge placement resolution. A wide range of digital and analog instrument test options can easily be incorporated into the TS-960e, offering users a compact test system that can support both functional and DC parametric test capabilities. And with the incorporation of an integral, modular test interface, the TS-960e offers users an application ready test system which can be upgraded or reconfigured in the field if needed. The system is also supplied with various software development and digital vector conversion tools, including support for ASCII, WGL, STIL, VCD/eVCD and ATP vector formats. For RF test applications, the TS-960e is available with Keysight Technologies' comprehensive portfolio of PXIe RF instrumentation which can address a wide range of RF products & technologies including WLAN, Bluetooth, Cellular, EW, and RF transceivers. Available instrumentation options include Keysight Technologies’ vector transceivers, vector signal analyzers and generators, and vector network analyzers; offering wafer and packaged RF test capabilities from 9 KHz to 27 GHz. The test system is supplied with ATEasy and all instrument drivers, virtual instrument panels, and a system self-test as well as ICEasy test software tools which facilitates device test development and characterization. ATEasy supports a wide variety of Windows- based APIs including ATEasy, LabVIEW, CVI, Microsoft® and Borland® C/C++, Microsoft Visual Basic®, and Borland Delphi. Cooling Four 100 CFM fans for system cooling. 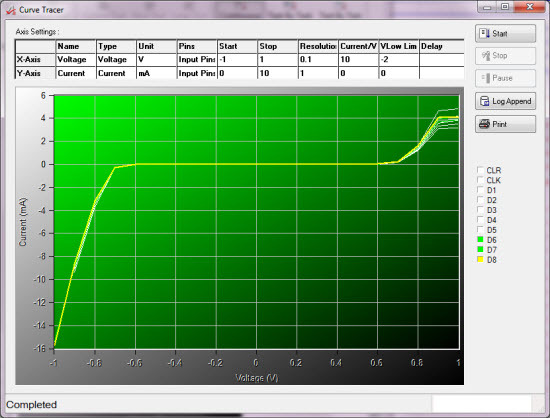 Integrated temperature monitoring via an on-board microcontroller with audible and software notification when preset temperature limits are exceeded. Fan speed control and monitoring is automatic and can be controlled / monitored via the GxChassis software.